"Heavy Revival Is Breaking Out in This Unlikely Village"
Revival is sweeping the rural village of Cottlesville, Newfoundland and Labrador, bringing crowds to meetings at Salem Pentecostal Church that are greater than the population of the village itself, says Charisma Magazine. Evangelist Velmer Bessey calls the Canadian revival a "very deep move of the Spirit." The revival started in late January in the community, which has a dwindling population of about 250. Pastor Cory Langdon invited Bessey to hold services for a week. Langdon says the first services saw salvations, healings and baptisms in the Holy Spirit, and word quickly spread that something exciting was happening in the church. Langdon and Bessey continued services for a second week, then a third. Residents from Cottlesville and surrounding areas poured in to the meetings, some traveling for hours to see for themselves what was happening at the church that seats about 150. Twelve weeks later, Langdon and Bessey say the fresh wave of the Holy Spirit is "unmistakable," and the two decided they will ride it out as long the Spirit tarries. As of late April, Bessey was still there, continuing to hold revival meetings four times a week in the community, drawing hundreds from nearby towns and villages. Recently, 273 people poured into one meeting, overflowing into the foyer and standing along the sides of the sanctuary. "We're expecting even greater things," Langdon says. This is the third year Bessey traveled to hold revival meetings at Salem Pentecostal, but both Langdon and Bessey agree: This ongoing visitation of the Holy Spirit is unprecedented. So far, 19 people have received the baptism of the Holy Spirit, and 56—more than 20 percent of Cottlesville's population—were saved. To put that in perspective, if more than 20 percent of the U.S. population got saved in a series of revival meetings, more than 70 million salvations would have occurred. "One particular miracle is a drug addict who got delivered, completely delivered and filled with the Spirit," Bessey says. "Then there was a friend of mine whose wife had been praying for him for 35 years. He lives about an hour's drive from this church and has been to a lot of my meetings in the past. He came to a service, and that night at the altar call, he came up and gave his life to Christ. That was so powerful for me, knowing his wife has been praying for him for 35 years and seeing that prayer get answered. Two weeks later, he got baptized with the Holy Ghost." Langdon is rejoicing as people come forward. "A lot of people struggling with depression and anxiety in deep ways are being completely delivered," Langdon says. "You just get that sense when you are praying that something is happening." Bessey says some nights, he stood in the pulpit unable to speak or even turn on his microphone because the Spirit of God was moving so tangibly. "It's just these encounters with the power of God in this place, the glory of God filling this place," Bessey says. "It just changes everything. You have some services where you want to sing your songs and bring the Word, but the Spirit just takes over." Langdon and Bessey say the waves of prayer and praise ebb and flow for hours, with some services going as late as 1:30 a.m.
"There is no music, no singing, just waves and waves of prayer and praises, and when they come onto shore, it's like thunder sweeping through the place," Bessey says. "It just keeps happening." The services have made such an impact that regional newspapers picked up the story. Langdon said he attributes the media interest to God wanting to magnify this movement for His glory. "We had been taking some video clips and posting them [on YouTube], and we just got this random call one morning from the local newspaper," Langdon says. "I see it as the Lord really wanting to show that His power hasn't changed. He still wants to show His power to the world." Angus Wheeler is one man who says his life has been forever changed by the Spirit's fresh fire. Wheeler, 49, heard about the meetings in their second week and decided to travel from the nearby community of Virgin Arm-Carters Cove to Cottlesville to check it out for himself. On Feb. 9, Wheeler went to the altar to accept Christ. "That night, I knew the Holy Spirit made it very clear to me that I couldn't leave without becoming a Christian," Wheeler says. "The feeling started like a fire in my belly and just pushed its way up. Bessey didn't even have to say much, maybe five or 10 words. He just gently said, 'Here. I'll walk with you to the altar.' I brought a big load of sin and left it at the cross, and that's where it will stay." When Wheeler was a teenager, he asked Jesus into his heart but says he had not followed Him since. His big regret is that it took nearly 30 years for him to "come to his senses," he says. He continues to attend the revival meetings and says he also experienced a miraculous healing from tobacco addiction. "I had been a very heavy smoker for many years, a pack and a half a day," Wheeler says. "I had told God that when the time came, I knew I would be delivered from them—and I was delivered instantly. I have not had even a single craving." Everything in Wheeler's life has changed, he says. His passion for the Word of God is insatiable, and he plans to witness to everyone he encounters. "I don't know if you know the song 'Trust and Obey,' but that's what I keep hearing in my head," Wheeler says. "And that's what I plan to keep doing." Langdon said the revival was birthed out of weeks of preparation from the church's core members, who met weekdays for extended periods of prayer and fasting. "We bathed this in a couple of weeks of prayer beforehand," Langdon says. "In fact, before they even knew evangelist Bessey was coming, word went out to the elders that revival was coming. In their prayer time, they felt like the word went forth from the Spirit of God, so we were really looking forward to coming together. That was a big part of this." 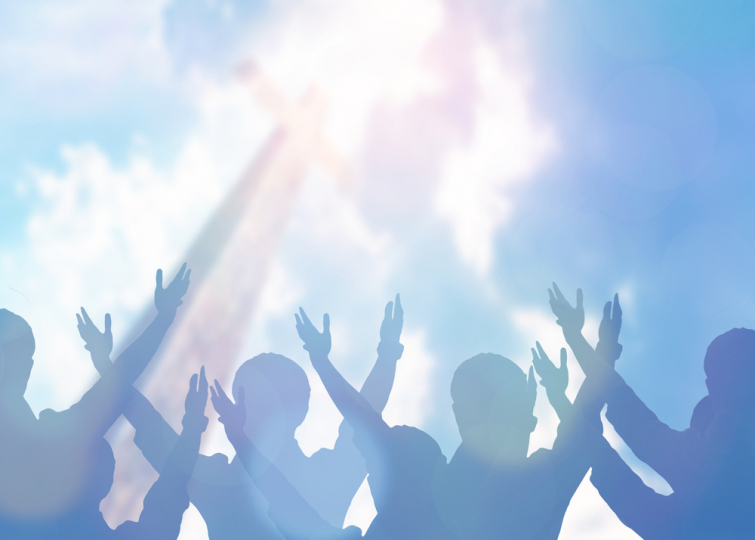 Bessey believes those weeks of prayer laid the groundwork for what God was about to do. "I came and preached the Word, and God's Spirit began moving people," Bessey says. "They started coming from all around the community, some of them from hours away. People began getting saved, healed, filled with the Spirit, filled with joy and encouraged—and the crowds kept coming." Bessey retired five years ago after serving as full-time pastor of various churches for 33 years. Since then, he has been traveling as an evangelist, visiting churches throughout Eastern Canada, Peru and Africa. He said his heart has been aching for a revival like the one Cottlesville is experiencing now. "The Lord impressed upon me when I started this ministry work, moved upon my heart and said, 'You are going to be scheduled somewhere for a week, but it is going to become a lot longer.' Still, I didn't know where or when," Bessey says. "There are places I've been that I thought could be, where maybe we went into a second week. I felt, God is going to break wide open somewhere. I just don't know where it's going to be. Then the Lord confirmed this is the place." Bessey says his heart is to see the Spirit of God descend as in revival movements of years ago. He was in Pensacola, Florida, during the Brownsville Revival in the mid-1990s. "Now this is so refreshing, a lot of lives being transformed," Bessey says. "Everybody who comes in feels that sense of the Lord's presence." For Langdon, the entire experience is nothing short of a miracle. Salem Pentecostal Church is his first pastorate. Prior to taking the pulpit three years ago, he worked various jobs and volunteered in church ministries. His congregation numbers about 50, up nine members since he took the role of senior pastor. "I'm in a small community where the population is dropping, and it is challenging," Langdon says. "We have actually been growing." A large percentage of Newfoundland and Labrador's population claims to be Christian, but whether the people live out a vibrant faith is another story, Bessey says. Although Cottlesville is considered part of the Bible Belt of the Canadian province, there have been dry spells in experiencing the Holy Spirit, he adds. Area churches have been like-minded and supportive of Salem Pentecostal's services. Langdon says he senses no competition or envy among local congregations. Rather, members of various churches are praying for the services, attending and furthering the work of the Holy Spirit. "There seems to be a pretty good sense of coming together of a lot of the local pastors," Langdon says. "There are six Pentecostal churches within 25 minutes of each other here, plus many other denominations. I have been seeing people from all different places, and they've been very supportive." Langdon says it will take more than his church to continue the transformation of lives in the New World Island community once the tangible wave of the Spirit lifts. "The big thing for new converts is discipleship," Langdon says. "Struggles are real, and everybody needs someone to lift their arms up. You still have to deal with the flesh. Meetings like these teach people how to get into the presence of God, but for us as a church and for moving forward, we want to encourage local churches in the area to promote this unity and go forward and stay in prayer and worship and continue to preach so lives can truly be transformed. "There's actually a different church about 25 minutes from here that has four young teen men, just out of school, who came and gave their lives to Christ here, then they went back to their church," Langdon says. "So we are then seeing this ripple effect flowing over." Bessey sees "a lot of fires being started with the pastors and people here," he says. The evangelist was scheduled to hold meetings in Peru in April but postponed the trip to remain in Cottlesville. "If the Lord directs me to leave, I'll leave," Bessey says. "But the things happening here are deep enough that I believe it will be going on for some time, in some way, in some nature." Langdon observes the commitment it takes to allow the Spirit room for revival for an extended period. "It's hard work to hold services four times a week," Langdon says. "It's not easy work, but I wouldn't trade it for anything. This is my heart. Should the Lord tarry, we're in for another big move of God."